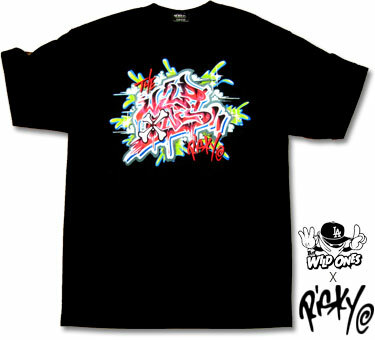 L.A. graffiti legend, Risk, has collaborated with The Wild Ones to create a two-piece limited edition t-shirt set. 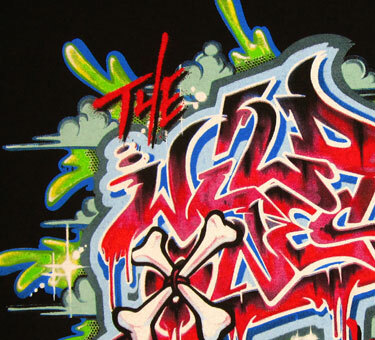 My favourite shirt is a print of a dope full-color graff piece RISK painted for The Wild Ones. The back features his "The Wild Ones" tag. Did I say I heard these t-shirts are very limited. See the video below where Risk talks about his graffiti journey including influential L.A. writers like "Soon" and the development of LA graffiti style. He also talks about his lucky chance to hit the last of the illegal New York subway trains and his encounter with New York legend, Lee Quinones. 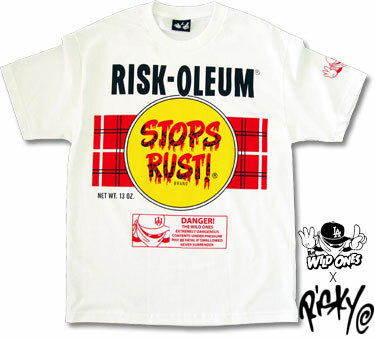 Cut N Sew And of course, Risk is no stranger to the clothing game since he founded the clothing label "Third Rail" way before The Wild Ones ever contemplated selling shirts! For those who haven't heard about The Wild Ones, this clothing company has taken hip hop classics like "Wild Style" and Beastie Boys' "Licensed to Ill" and film references like "The Wanderers" and applied them to t-shirts. 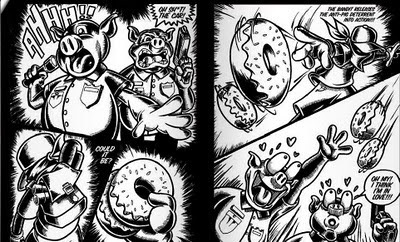 The Wild Ones has developed comic book style through a series of the white Mickey Mouse gloved images and extended this with the launch of its stylish comic here starring the bandana-wearing graffiti phantoms fighting with the pig cops and throwing doughnuts at them! 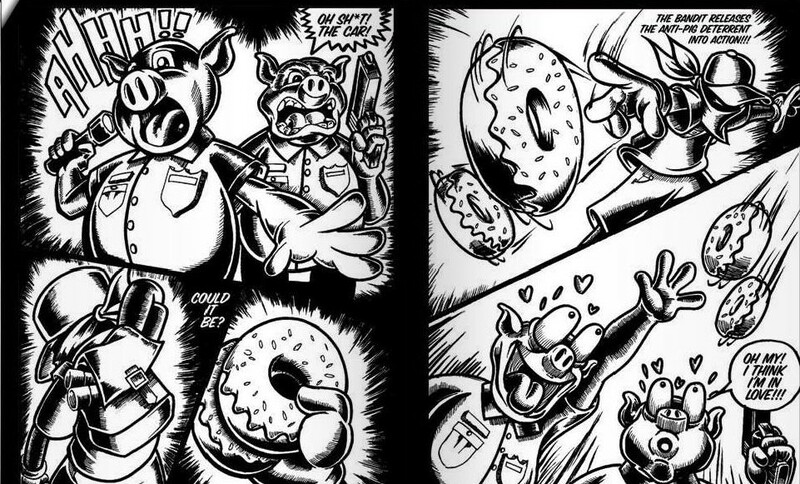 The pig cops are a bit cliched and kinda done by Seen, but still the imagery is eternal.